Instead of drinking wine I take two capsules of Best French Red Wine Extract every morning. I look and feel better. Great, felt more energy, got my blood flowing, stopped the leg cramps. Red Wine Extract with BioVin Advanced by Doctor's Best does the job! 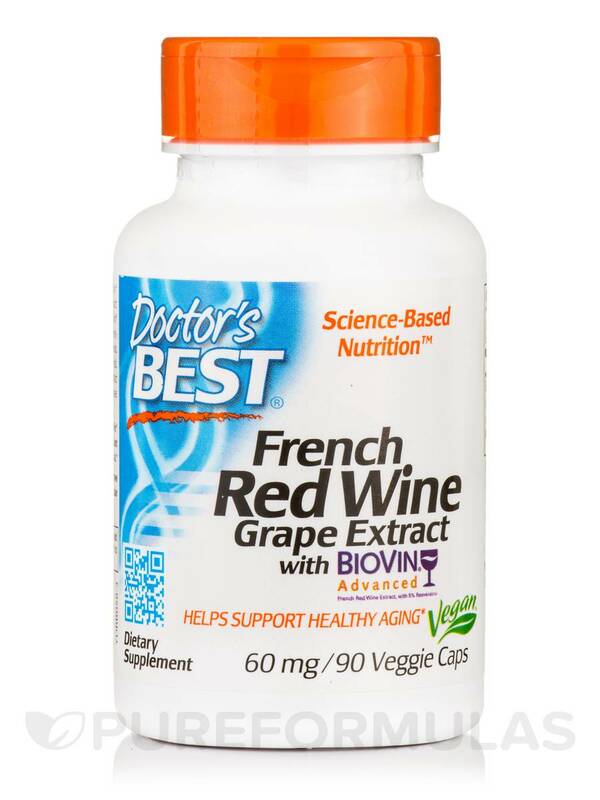 First time using best French Red Wine Extract with BioVin Advanced by Doctor's Best. Good price for the value. Like the extra antioxidant boost that this product provides. Will continue to buy. 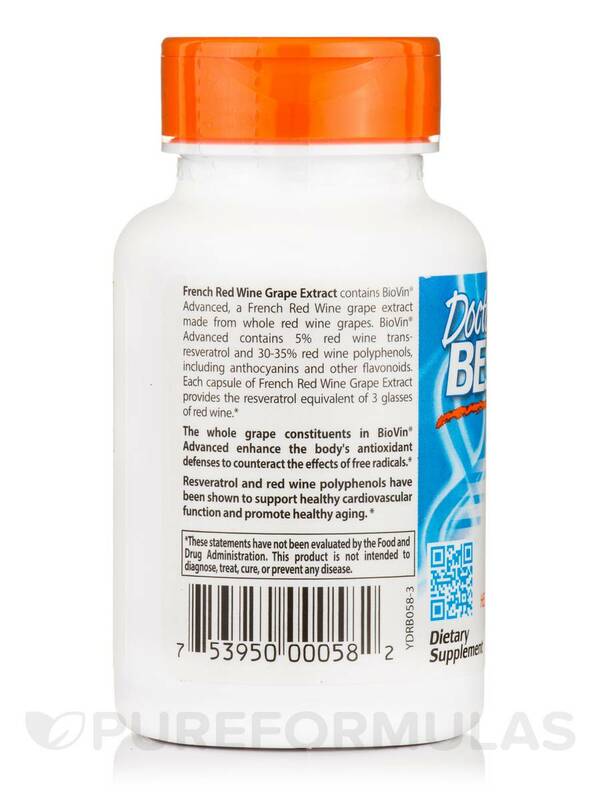 Doctor’s Best French Red Wine Grape Extract supports healthy aging and maintains healthy cardiovascular function. 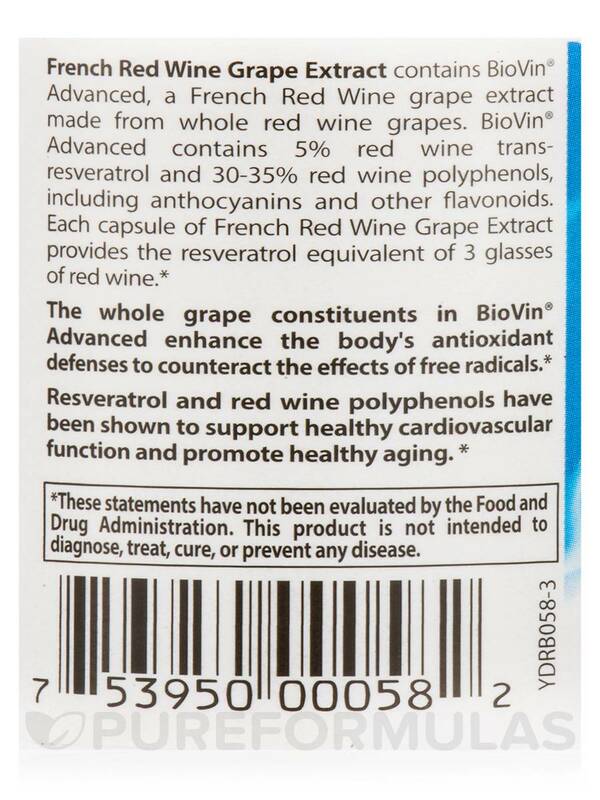 It contains BioVin® Advanced‚ a French Red Wine extract made from whole red wine grapes. 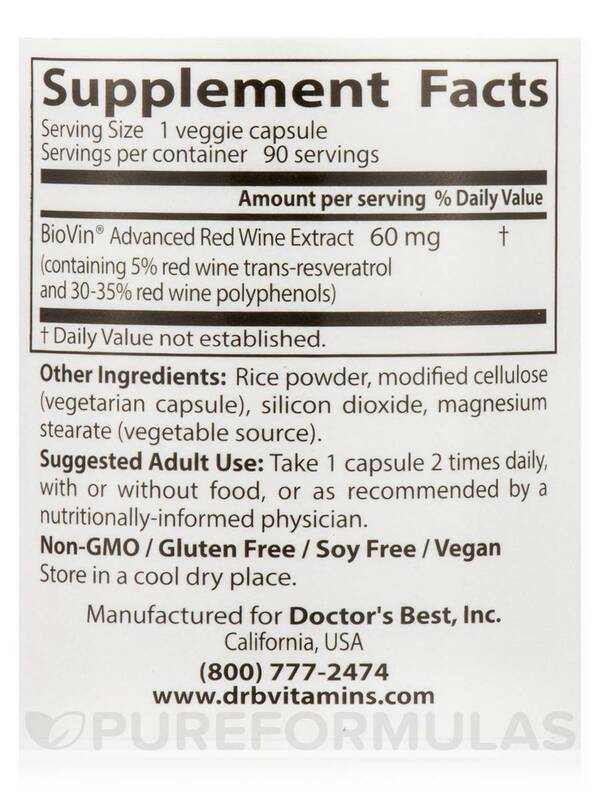 BioVin® Advanced contains 5% red wine trans-resveratrol and 30-35% red wine polyphenols‚ including anthocyanins and other flavonoids. Each capsule of French Red Wine Grape Extract provides the resveratrol equivalent of 3 glasses of red wine. Other Ingredients: Take 1 capsule 2 times daily‚ with or without food‚ or as recommended by a nutritionally informed physician. 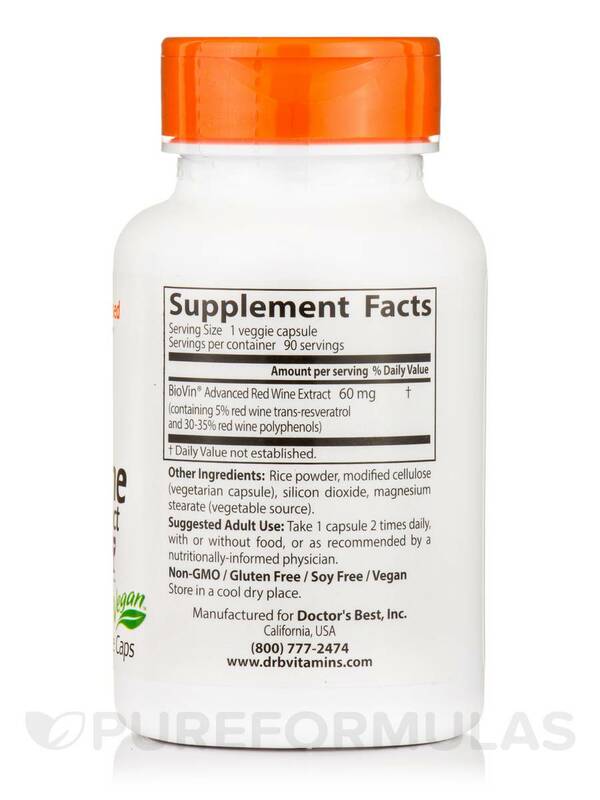 Take 1 capsule 2 times daily‚ with or without food‚ or as recommended by a nutritionally informed physician. Everything, especially easy to swallow capsules. I don't drink wine so Best French Red Wine by Doctor's Best is great to have the benefits of red wine. Enjoy receiving the extra antioxidant boost while taking this product to compliment other products.